The most popular type of automated system is the underground motor. Having this type of underground automated system installed means there is no sign of any mechanisms apart from the casing box lid and pivitol arm. This makes it a particularly aesthetically pleasing and practical option for many of our customers. We can install an underground motor to new gateways and most existing pairs of gates. These can be applied to both metal and wooden gates. 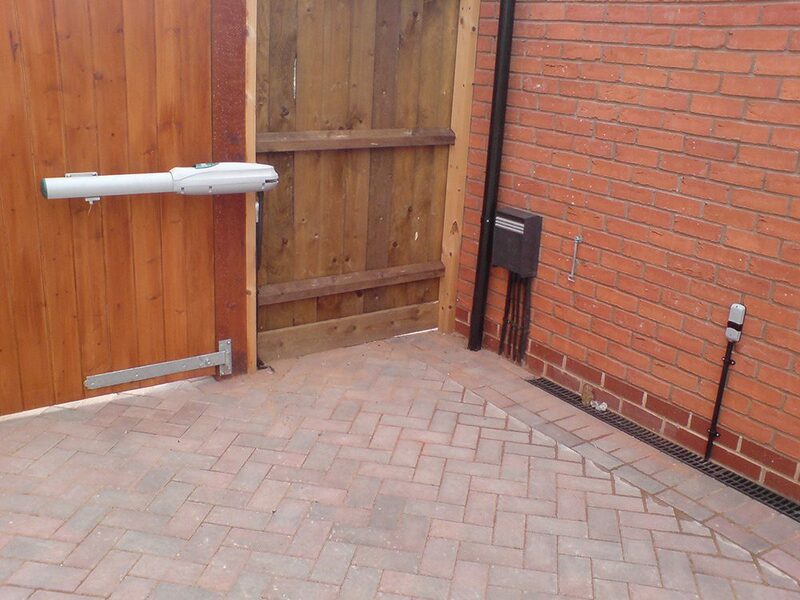 If a power cut occurs then there is a manual key operated system to release the gate. This is located on the inside and outside of the gate. 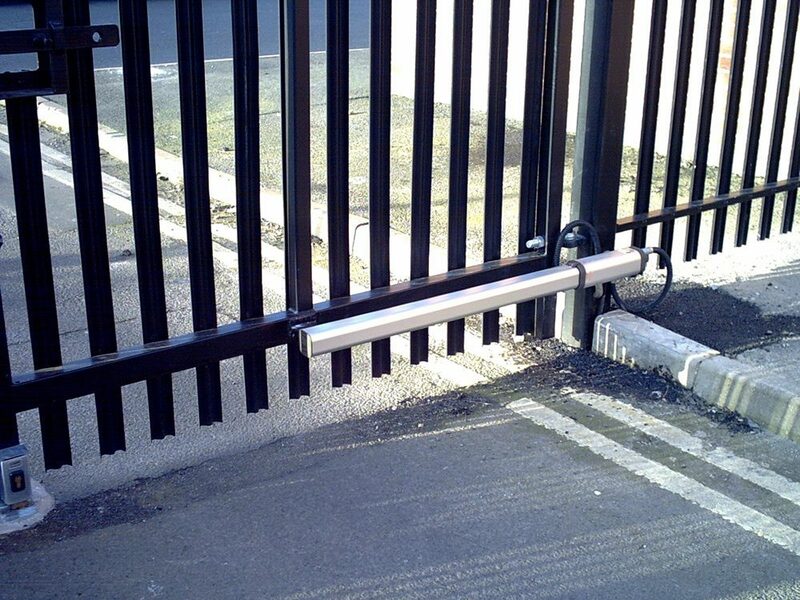 We have Above Ground automation systems that can operate gates up to 7000mm each leaf in length! These operators are available on wooden and metal gates as well as combinations of the two. 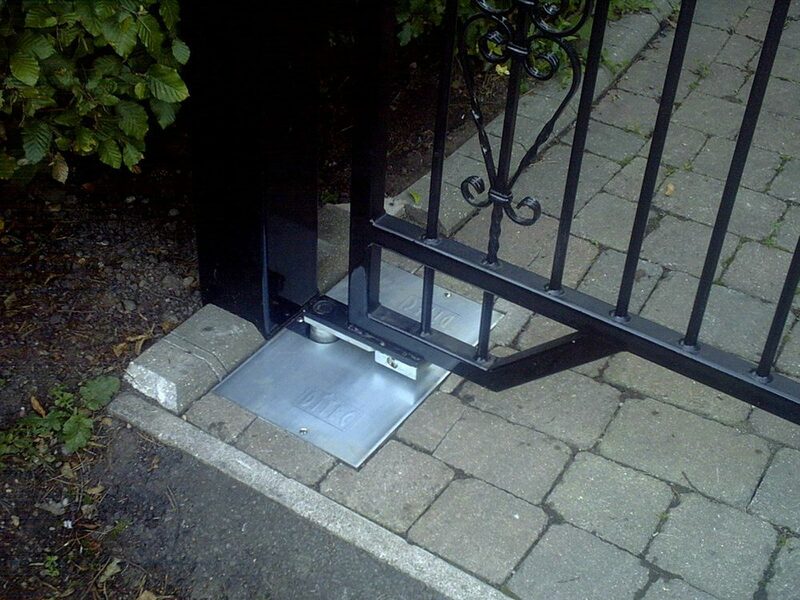 Our above ground automation systems can be installed on existing gates as well as new pairs and single swing gates. All electronic gates can be operated via remote controls, keypads, underground induction loops and intercoms, please see our access control page for further information. We operate throughout the Midlands including Leicester, Leicestershire, Loughborough, Market Harborough, Oakham, Nottingham, Nottinghamshire, Derby, Derbyshire, Birmingham, Northampton, Sheffield, Coventry. To make an enquiry send us your message via our contact page.